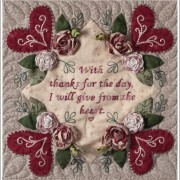 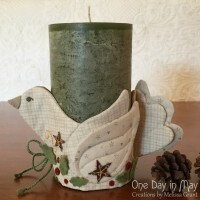 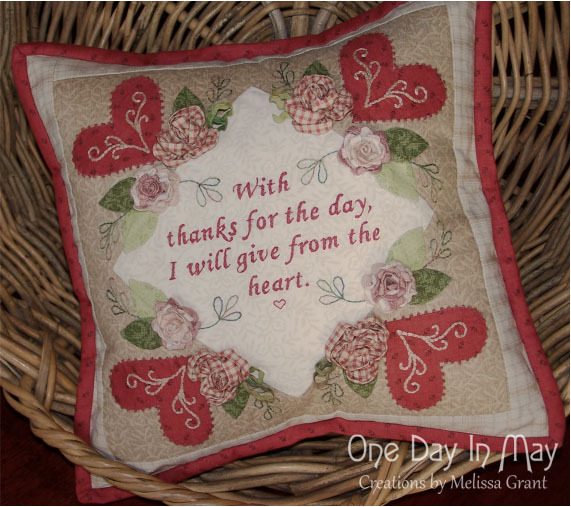 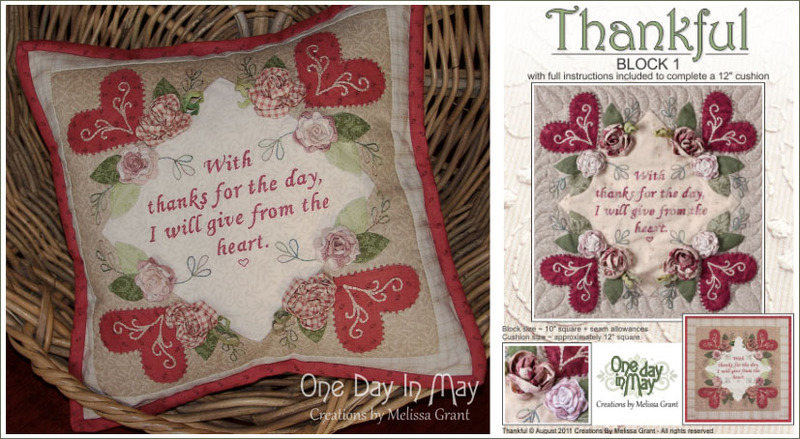 “Thankful – Block 1” sold as an individual pattern. 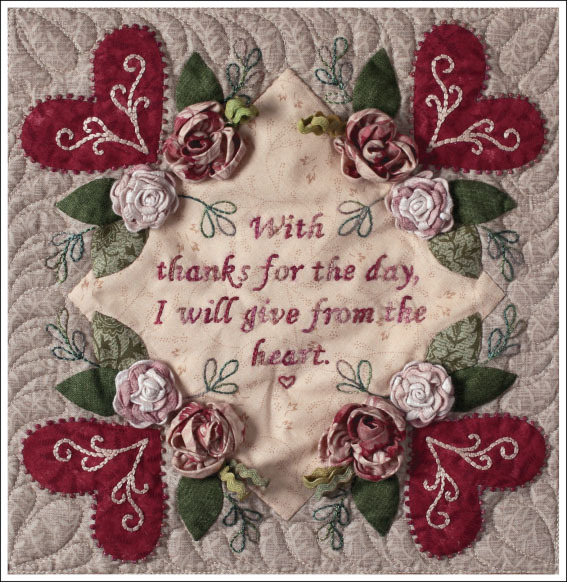 – Instructions for creating the central panel of the “Thankful” quilt. 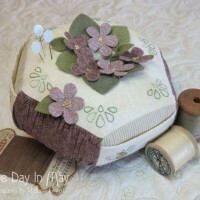 – Full instructions for using the block to create a 12” cushion edged in binding. 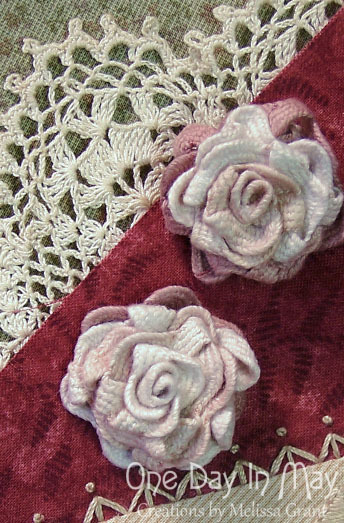 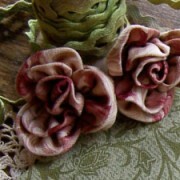 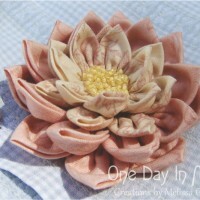 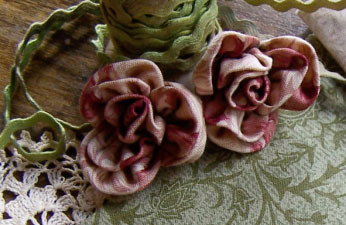 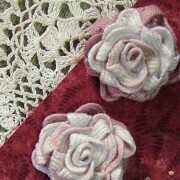 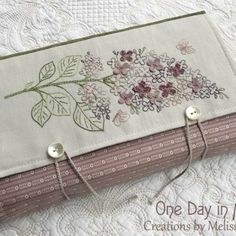 – A comprehensive “Technique Booklet” with photographic instructions for needleturn appliqué, reverse appliqué, embroidered appliqué, fabric roses, ric-rac loops, ric-rac roses, lace-covered panels, ruched panels and a guide for trimming a block with dimensional features. 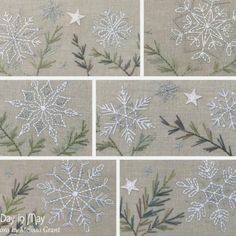 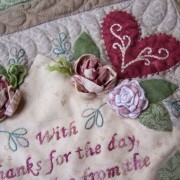 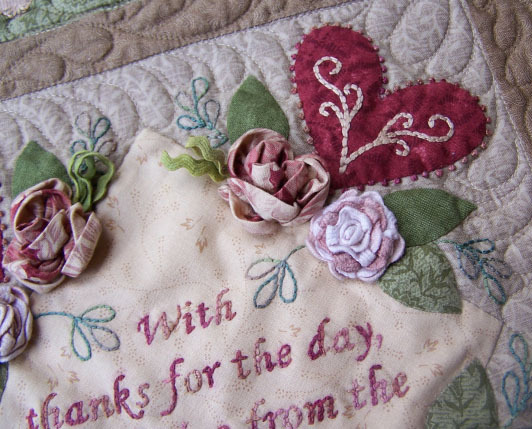 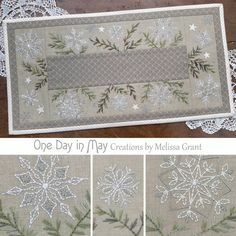 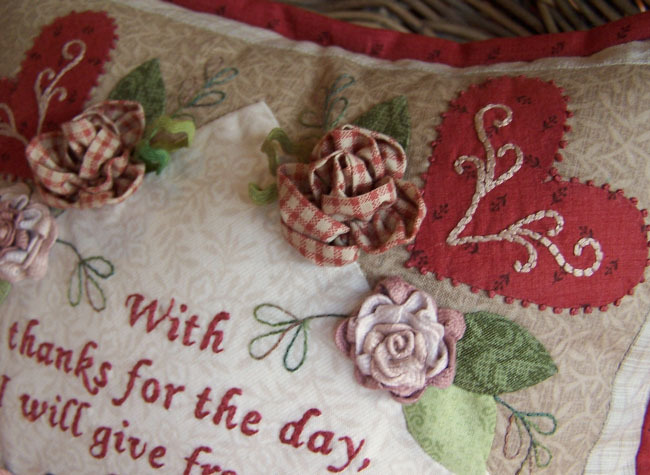 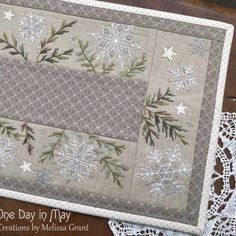 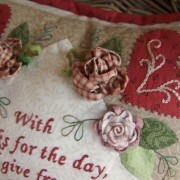 These techniques are used to create the “Thankful” quilt design, but can also be used to enhance many other projects. 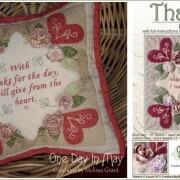 – As an individual pattern, Thankful -Block 1 would suit those who’d like to learn the techniques used in “Thankful”, but would prefer a smaller project.